Disasters such as floods, fires, storms, and accidents usually happen without warning but it is crucial to react immediately after a disaster to stop the spread of the damage. ServiceMaster NCR provides a range of disaster restoration services for homes and businesses in Arlington, VA and we are on call 24 hours a day, 7 days a week, 365 days a year to respond to emergencies. We have the training and equipment to handle small and large losses in commercial and residential settings. 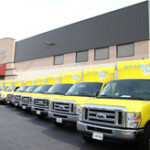 ServiceMaster NCR services the Washington, DC area as well as areas in northern Virginia and southern Maryland and we are also part of the nationwide ServiceMaster Recovery Management (SRM) network that is dispatched to large losses all over the U.S. The main disaster restoration services we provide for Arlington, VA include water damage restoration, fire and smoke damage restoration, mold remediation, hoarding cleaning, and biohazard/ trauma scene cleaning. The technicians of ServiceMaster NCR have received the necessary training and IICRC certification to provide effective disaster restoration services and we work with a sense of care and compassion for you and your property. The cleaning products, methods, and procedures that we use are among the best in the industry and we will handle every aspect of the restoration process, keeping you informed on our progress as we go. When a disaster occurs in your home or place of business in Arlington, VA, do not hesitate to contact ServiceMaster NCR for disaster restoration services. Damage caused by water, fire, or mold will only continue to spread until the restoration begins which will result in more widespread and extensive damage. Reacting quickly will save you time and money on the restoration process. You can contact us online or call us anytime 24 hours a day at (703) 212-7000 to respond to your emergencies.